1.3 Why Are These Names Important? Tagetes erecta, Rudbeckia fulgida var. sullivantii, Canna generalis, Zinnia elegans. 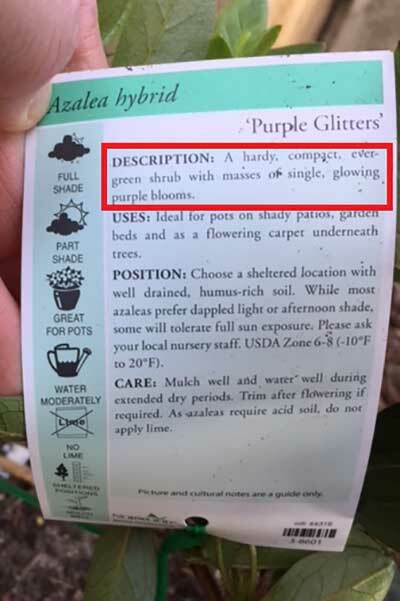 These are just some of the words you’ll find on the plant labels at your local home and garden store. Are your eyes glazing over yet? If so, I totally understand! But trust me, these words have meaning. They are all scientific names for common plants that can be found in your garden. As you continue reading the plant label you’ll find other gardening jargon that may not make sense to you at first. It’s easy to get confused by the terminology and instructions on these garden markers, but don’t worry. Luckily, most plant tags contain the same types of information. Sometimes it is rearranged differently, but once you learn the basics you’ll be reading these labels like a pro! “A rose by any other name would smell as sweet,” said William Shakespeare in his famous play Romeo and Juliet. For plants, this definitely applies. It even applies to roses themselves, as there’s over a hundred species of roses and thousands of cultivars available! 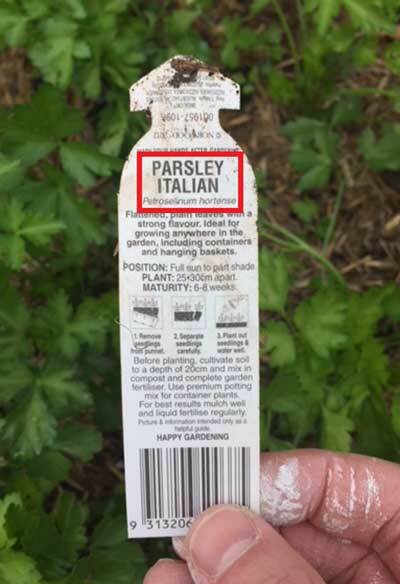 Most plastic plant labels state the name of the plant at the top of the label. Plants can be identified using both their scientific name and their common name and most plant labels state both names. Common names for plants are used by people in a given region, and vary widely depending on where you are. As an example, consider the Boston fern. While it’s called that in one region, it can also be referred to as sword fern, fishbone fern, or even tuber ladder fern. It’s pretty easy to mix up. While someone in Massachusetts might call it Boston Fern, a person from Hawaii would call it kupukupu! How do you find the plant you’re looking for? That’s where scientific names come in. Scientific names are universal and unique to each specific plant. These are always in Latin and aren’t changed except by international scientific agreement. That’s why no matter which species of rose you are getting, you’ll always see the term “Rosa” at the start of its scientific name, identifying its genus. You’ll often find the family name on there as well, stating it’s from the family Rosaceae. That pins it down to a wider range of plants which are related to one another. But scientific names are more specific than just the plant’s genus or family. Rosa floribunda is a popular rose variety for gardeners because of the wide variety of bloom colors and the shape. The term “floribunda” is Latin for “many-flowering”, and references a specific hybrid strain between tea roses and standard cane roses. Finally, you may find a specific cultivar name attached. Some examples of cultivars are Rosa floribunda Angel Face, or Rosa floribunda Disneyland. In cases like the Disneyland rose, it can even reference who that particular cultivar was originally bred for! Why Are These Names Important? Using the scientific names of plants helps gardeners and scientists alike avoid confusion and communicate about specific plants. This is why you should always see both the common name and the scientific name on the labels of the plants you purchase. Outside the scientific community, most of us don’t speak Latin. When want a thyme plant, we’re usually not looking for something which is labeled thymus vulgaris. Most refer to their thyme plant by common name or cultivar. English thyme, French thyme, garden thyme… these are all cultivars of thymus vulgaris. Labels aren’t limited to just the common and scientific names of plants. 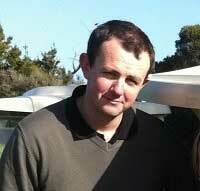 They often contain a lot of other really useful information. There may be brief text descriptions of the plant, care instructions, or ways of using or preserving it later. 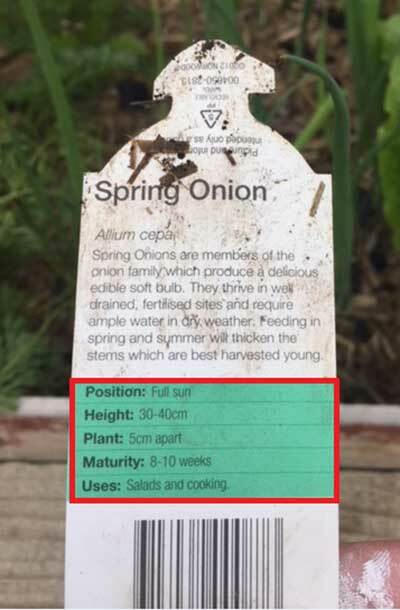 These labels often have a section with information on how best to position your new plant. This includes the light requirement for the plant and is very important. Plants can require full sun, partial shade or partial sun, or full shade and instructions might be relayed through words or an image – or both! Full sun means that your plant requires at least six hours of direct sunlight to perform. A yellow sun symbol can be used to note a full sun positioning. Part sun or part shade reveals that your plant should get three to six hours of sunlight a day. Half yellow and half gray sun symbols note partial sun placement. Full shade plants prefer or can survive with less than three hours of sunlight. 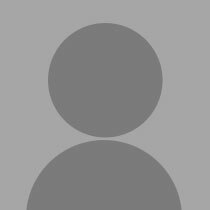 This has a grayed-out sun symbol. Some plants are able to tolerate a few different positions and there might be one or more designations on the plant label for these types of plant. This section of the label also indicates whether your plant should be in a sheltered location from the wind or other elements. It’s important to understand how your plant is positioned in relation to other plants when seed starting. The label on a packet of seeds will provide a quick reference to how far apart you should plant your seeds for optimal growth. Similarly, the information on a seedling’s label will include transplant spacing between plants and rows. There’s different gardening styles which ignore traditional spacing requirements, such as square foot gardening. These techniques use denser plant placement to produce a large amount of edible crops. For most flowering plants that you grow just for visual appeal, sticking with the plant label is just fine. Zone information will help prevent you from purchasing new plants that aren’t optimized for your garden or climate. This is especially important if you’re ordering live plants online. A lot of beginner gardeners make the all too common mistake of buying plants that aren’t conducive to their environment! Be sure to know your hardiness zone and reference the plant label for this information before purchasing a new plant. The information might also be included in the overview or quick fact section of the plant label. You can find information about your hardiness zone here (http://planthardiness.ars.usda.gov/PHZMWeb/). If you’re purchasing plants at a local garden center, it’s a bit different. Excepting culinary herbs or plants that thrive in most areas, garden centers stay local. What you find at your local store will likely reflect what you can grow in your area. On the front of the plant label there’s generally an image of the plant. The description on its back indicates the appearance of the plant. Colors, shapes and denseness of growth are common. You’ll find information on the average size that your plant grows to reach. Sometimes it’ll reveal if the plant requires support structures such as a tomato trellis. Most of these plant tags include information on how much water the plant needs. Segments like this show how often to water. This information can also help protect your plant against various diseases. If a label tells you to water at the plant’s base, that’s significant. Some plants are prone to issues such as powdery mildew if the leaves are often wet. Others, such as bromeliads, may require watering in the central well of the plant where it draws its water from. How long will it take your plant to reach maturity? That’s important information for gardeners looking for the biggest bang for their buck or the quickest way to have a full, beautiful garden. It’s common on seed packets or on seedlings. If you’re planting a salsa garden or other crops which you need to ripen simultaneously, you should read this part. This allows you to plant accordingly. Have you ever wondered if there’s other uses for your plant besides looking pretty? In some cases, there are. Plants are often used medicinally or for cooking. Occasionally, they’re used for dried arrangements. There’s many possible uses for your plants, and plant labels will tell you all about popular ones. If you’re new to gardening or are just beginning to pay attention to these garden markers, I hope this information has been enlightening. At first glance, they can be a little difficult to read. If you’re anything like me, some parts of the label seem pretty self-explanatory and other sections I glaze over because they don’t seem to make sense. My hope is that this breakdown of gives you new insight into the plants you purchase and that your gardens will bloom, grow and flourish as a result! Did you enjoy this guest piece from Zac Spade, and would you like to see more guest pieces like this? Let us know in the comments!